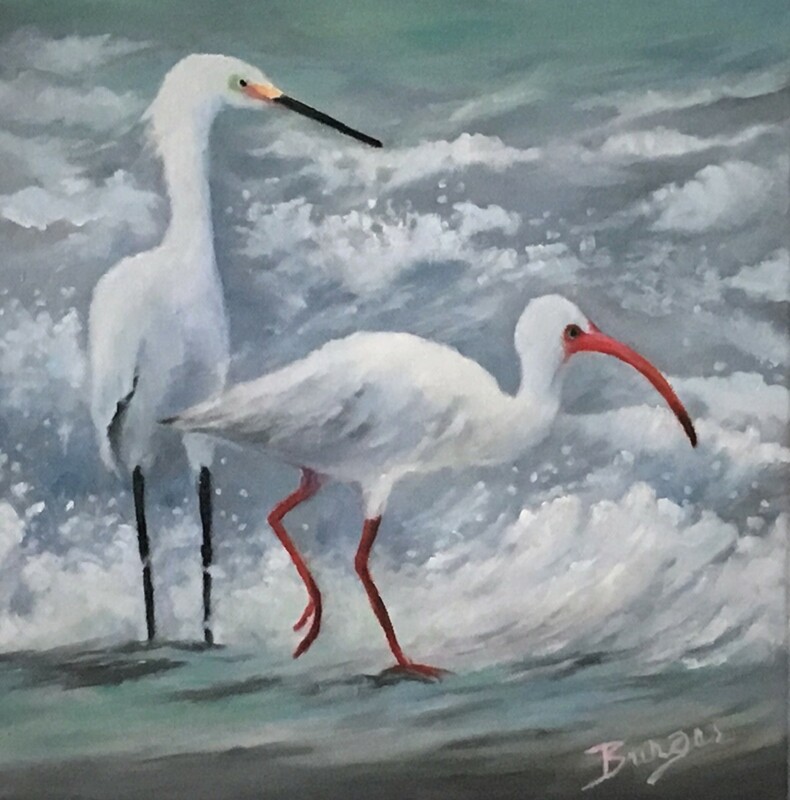 This is a 10 x 10 oil painting on canvas featuring an egret and an ibis, both of which are birds that live in Florida. They are in the waves of the Gulf of Mexico, searching for something to eat. It is framed with a white wooden floater frame.